You know the hit of bright colours and shapes and scents you get when you walk into a florist? 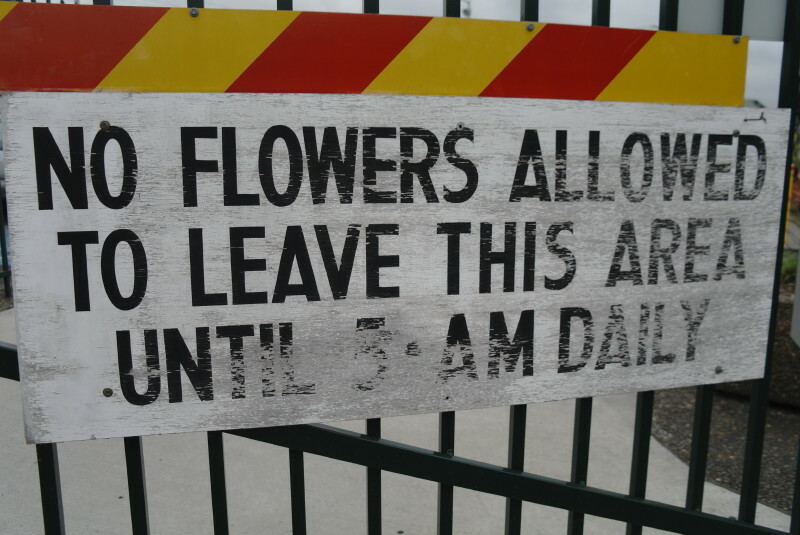 Sydney Flower Market is not like that. 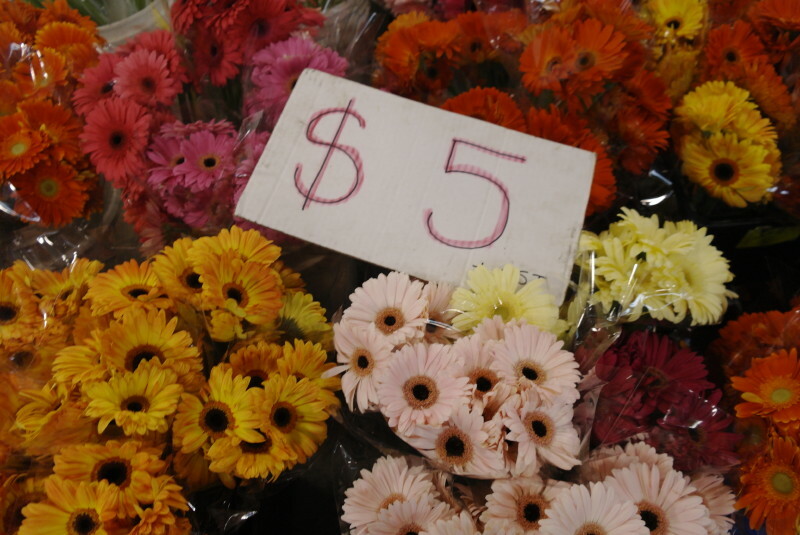 It’s kinda like walking into an undercover carpark – one where flowers are sold, of course. There are flowers in buckets on the ground, unshaven men in leather aprons, Chinese women in plastic sandals hosing the live plants, a few frantic wedding planners. It doesn't even smell that flowery. When I went last weekend there were plenty of everyday people too, who had, like me, woken up in the dark to get there early (it's open 5am-11am but it’s all over by 8.30) just to browse, sniff, ogle and, of course, buy some blooms. And boy, were there flowers. Hot pink frangipanis, luscious bromeliads, sleeping lilies (their buds all green, ready to open when you get them home), red, pink and yellow cacti. Natives like banksia. Lucky bamboo. Lazy bunches of lavender. There were old-favourite carnations, and cheery sunflowers. Banana flowers, for heaven's sake. There were boxes of rose petals, and parcels of leaves. 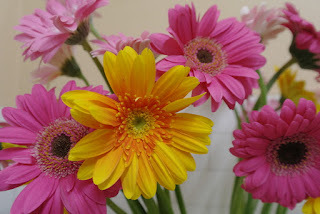 I saw a monk with his arms wrapped around several bunches of gerberas (I bought three bunches, myself, for $10). And a man walking out with just a posy of red roses, for someone he likes. Of course I got to thinking: are cut flowers eco-friendly? The short answer is: not always. There are a few reasons for concern, particularly the use of pesticides and the working conditions of the growers and flower-farm workers, particularly in tropical countries. 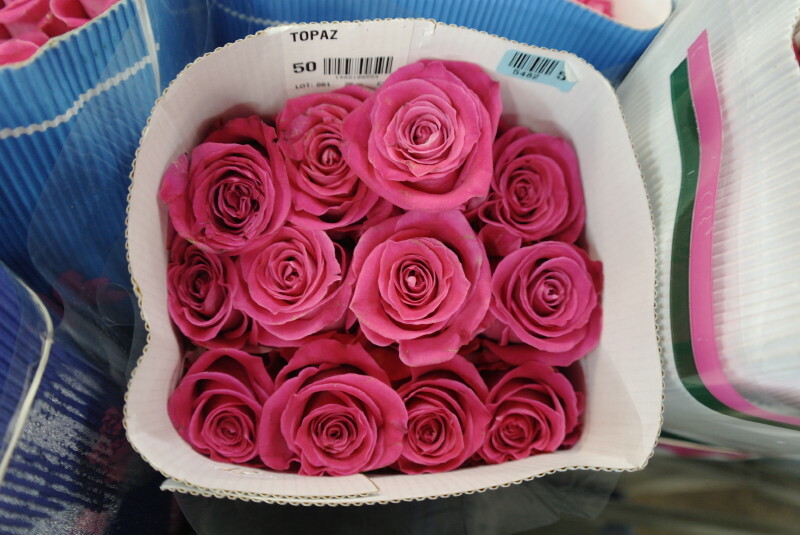 Did you know Ecuador is one of the top producers of roses in the world? A 90c rose can sell for $8-12 in Russia. Which brings up another issue: the emissions generated by flying refrigerated flowers around the world. All good reasons to buy local and direct from the grower. 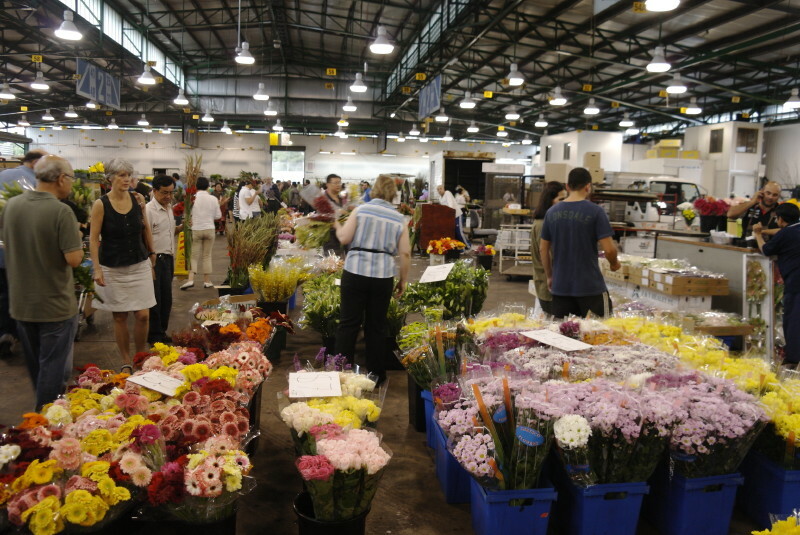 All the sellers at Sydney Flower Market are growers from within a 2-3 hour radius of Sydney. Apparently there are also organic flowers, even FairTrade flowers. Flowers in pots are even more sustainable. I love picking up the fallen frangipanis on the footpath near my house and putting them in a bowl of water on the kitchen windowsill - free and simple beauty. Let's hear it for flowers: pretty reminders that we're part of nature (or else why would we love them) and a way to say so much without words. I'm going to go and thank my vase of gerberas (above) right now.